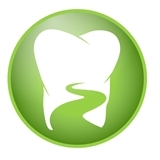 Legacy Trails Dental (Plano) - Book Appointment Online! Please Note: We have a 24 hour cancellation policy. All patients who cancel within 24 hours will be charged a $50 no-show fee. The doc and staff was great . But the ZocDoc appt system is wierd. It books under the primary doc which shows slots, but the actual person who has to perform my procedure isn’t available for many weeks ! !